We're happy to be home in Fort Lauderdale, we love our townhouse and we're excited to get acquainted with our new RV - the Roadtrek. One of the reasons we downsized so radically is that our townhouse is in a gated community with limited parking. The 21 ft Roadtrek is the largest vehicle that will fit. This is our third motorhome. The first was a 1997 30 ft Safari Class C with no slides. We lived in that fulltime from 2003 to 2011. We called it "Oh Boy" because that's what we would spontaneously exclaim whenever we thought about life on the road. The second was a 2007 Gulfstream Endura Super C. 37 foot with 2 big slides. It was quite a bit bigger than #1 so we called it Big Boy! It's funny now to go back and read the blog post I wrote when we first got it ... I cried! I so loved our first RV. But I came to love Big Boy too. We lived in it for 6 years. Moving day from "Oh Boy" to "Big Boy"
Now, we have a townhouse in Fort Lauderdale and we don't need a big RV to live in fulltime. 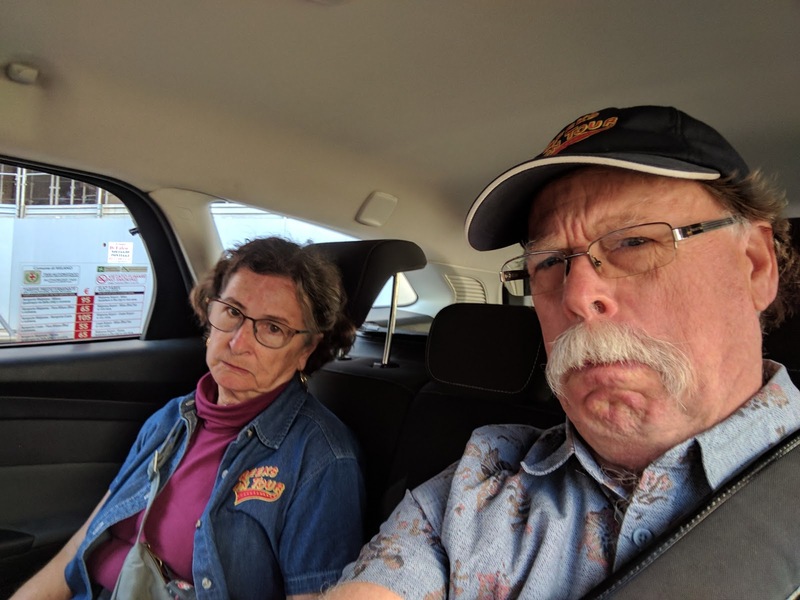 We're slowing down on RVing just a little, but we still need to get to the big rallies to do our seminars - so a Roadtrek is perfect. We can travel in it further and faster than in the big rigs, and it can be our second car when we're home.We call this one "Little Boy!" We bought Little Boy just before taking off for a month in Europe, so we were excited when we got back to get acquainted. We took it to a local campground just to be sure we knew how everything worked before we hit the road. If it's possible, we're even more excited about this little RV than we were about either of the other two. Back in 2000 we were looking at Roadtreks, we actually put a deposit on one but didn't go thru with the sale. We wanted to buy one to go on little trips, then we got this crazy notion that we wanted to live in an RV and we started looking at bigger rigs. So, now we feel we've gone full circle. 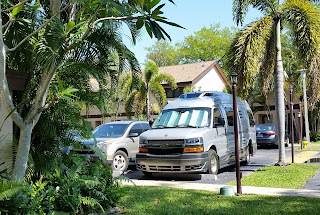 We're back to our original dream of living in Fort Lauderdale and being able to go wherever we want in our little RV. Have I mentioned lately how much I love my husband? I woke up about 5:30, rolled over and said, "how about we take the camper down to the beach and watch the sunrise?" I didn't really expect an answer, but a minute later I heard, "Ok"
If you've had more than one RV, which direction did you go? Bigger or smaller? We made our way down to the sumptuous breakfast that was included in our hotel stay at the Hotel Amano in Berlin. When we were done, we asked the front desk to call us a taxi and it was there in less than 5 minutes ready to take us to the airport. Our wonderful, perfect trip was over. The flight was great. We were served a breakfast and lunch. Curry Wurst, if I recall. That's a sausage with a mixture of ketchup and curry - it seems to be the signature food of Berlin at the moment. Not sure if I like it or not. 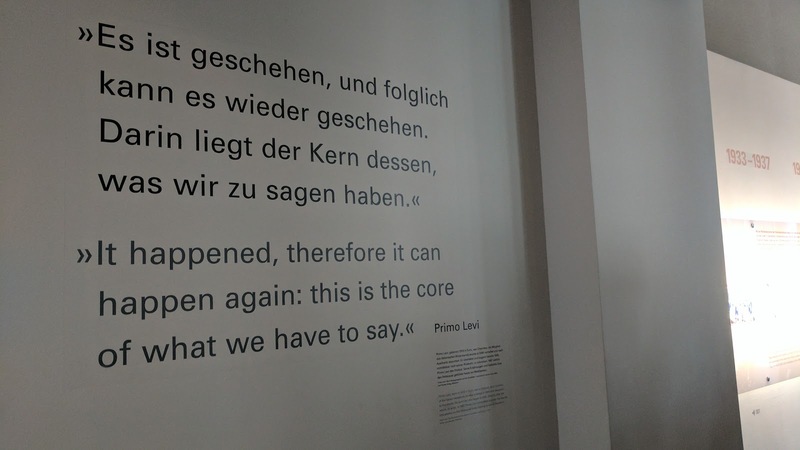 Leaving Berlin. Can you see all the windmills? We got off the plane, used the automated kiosks to show our passports and pass customs. With only our carry on baggage, the longest part of the process was simply walking down the long hallways. Back home. We used our Uber app to get a ride from Miami airport back to our home in Fort Lauderdale. As if we planned it! I know David Fenimore from when I lived in Lake Tahoe back in 1980. He still lives in Reno. The last time I saw him was when we visited Reno in 2004. Yesterday, after visiting the Holocaust memorial in Berlin, I looked at Facebook and saw a photo of the Holocaust memorial - posted by David! I messaged him, and we met up. We're only in Berlin for one day, he leaves today. #WhatAreTheOdds? It was great to see you David. And so nice to meet you Ashley. 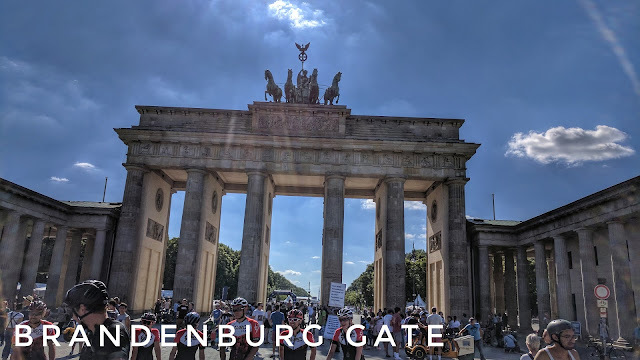 Because we flew Air Berlin to and from Miami, we were given the option to stopover a day in Berlin for no extra charge on the airfare. For the record, our airfare was $1,640 round trip for both of us combined. Not bad. Thanks Dolphin Travel! We landed in Berlin and Google Maps showed us how to get to the hotel with a combination of bus, subway and walking. This was the most modern hotel we've had yet. We checked in then went out for a walk. Hey - if we're going to get 7 miles in today, we've got to get going! LOTS of construction going on in Berlin! It's a very active, vibrant city. We found the famous Brandenburg Gate on our walk, not too far from the hotel. 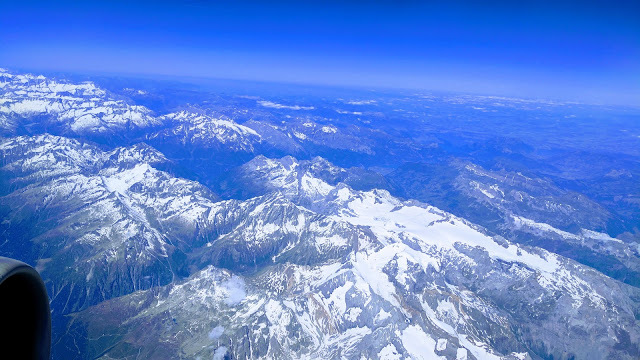 I knew that another of my fellow Google Photos support experts lived in Germany somewhere but I had not made contact before our trip like I had with Paolo in Milan. I didn't know what kind of time we would have in Berlin anyway. But, I decided to take a chance and text Alex to see if it would be possible to meet up. Yes! I'm so glad I did. The Geeks on Meetup Tour continues! It was great to get to know Alex a bit. Putting a face and a personality to the people you only know on the web is a major benefit. Then we had a bus and boat tour scheduled for the afternoon. 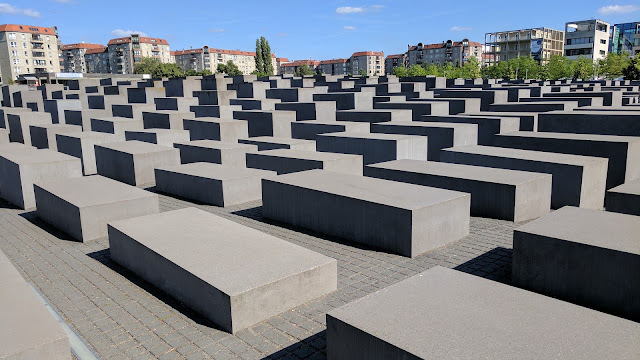 We stopped to see the "Memorial to the Murdered Jews of Europe" - aka the Holocaust museum. What an innovative design for a memorial, dozens and dozens of massive concrete blocks. You feel their weight, you feel masses of unnamed people they represent. You feel chills. The actual museum was underneath. 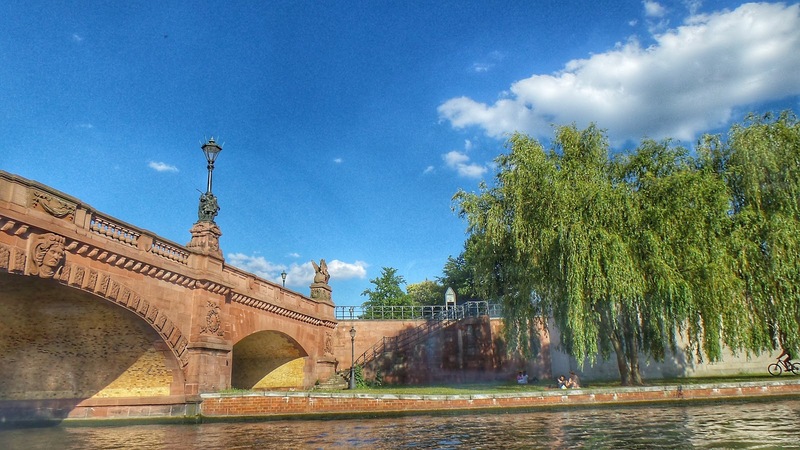 The hop-on hop-off bus tours are great ways to get an overview of a city for the first time. We didn't have time to hop off though, so we just stayed on and went all around Berlin. After the bus came the boat. It's always best to see a place from the water. We had a gorgeous day for it. The commentary on the boat said that Berlin has more bridges than Venice !?! This was one of the stays that was booked by our travel agent before we left the states. We wanted to know where we were staying when we flew into Florence and the beginning, and when we flew out of Milan at the end. Then, everything in between was open. I call that freedom within structure - the perfect combination. Milano (Milan) is a big city. It is the financial center of Italy - kind of like New York City. When we got off the train and made our way thru the station, we felt like country bumpkins come to the big city. I sure am glad our Google Maps worked over there or we would have needed a lot more time to find our way around. The train station in Milan was as impressive, or more so, as Grand Central in New York City. One of the reasons we chose to fly out of Milan was because I have a contact there. His name is Paolo and he is a "Top Contributor" on the Google Photos forum. 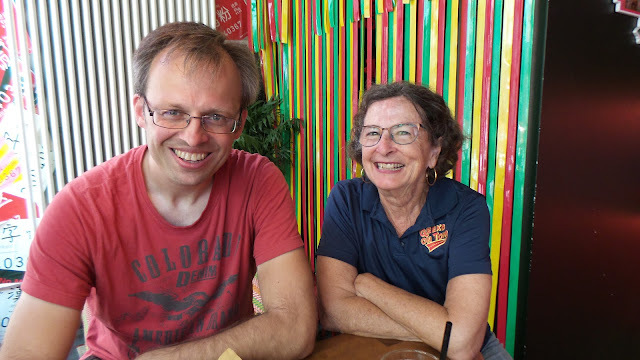 I am also a top contributor and I consider one of the major perks to be the fact that I have contacts all over the world because there are a few dozen of us helping each other as we help the users who have questions on the forum for Google Photos. All of us participate in a private online chat area and actually get to know each other that way. 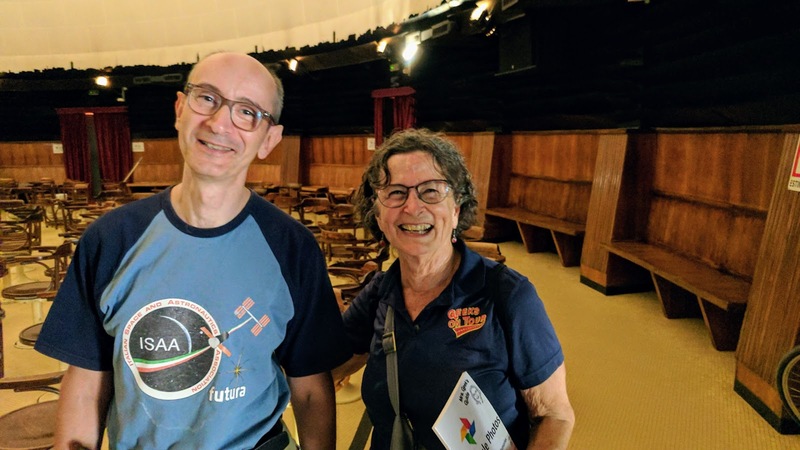 Paolo lives in Milan and works at the Planetarium there - he is a space geek! So, our first stop was the planetarium. We walked. I found Paolo! One of my co-workers on the Google Photos help forum. 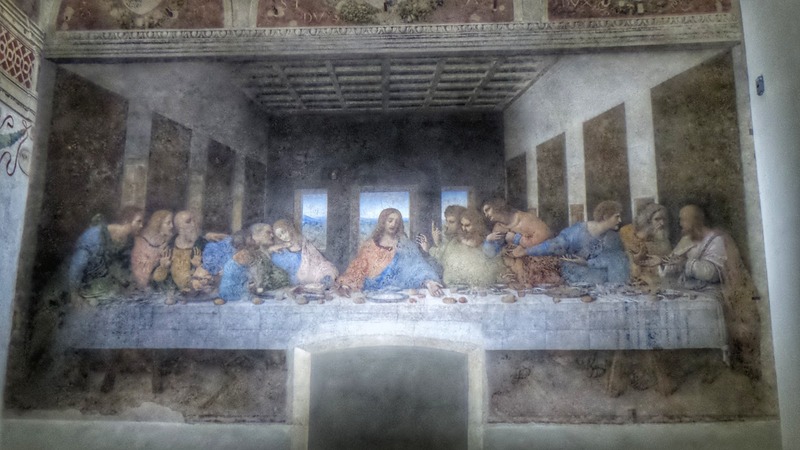 We then went to our hotel and got checked in just in time to make it to our reserved tour of Leonardo's Last Supper. A very famous painting, they have to control visitors. Only about a dozen are let in to view it at a time and there are air-lock doors to keep down any dust or other debris. Your group walks thru one set of doors and stay in a room between the doors for just a minute, then you are ushered into the room where the painting is. After 15 minutes, you are ushered out. The painting is on a wall and it has been painted over, and then restored several times it appears. It's still pretty moving to be in the presence of Leonardo's work. 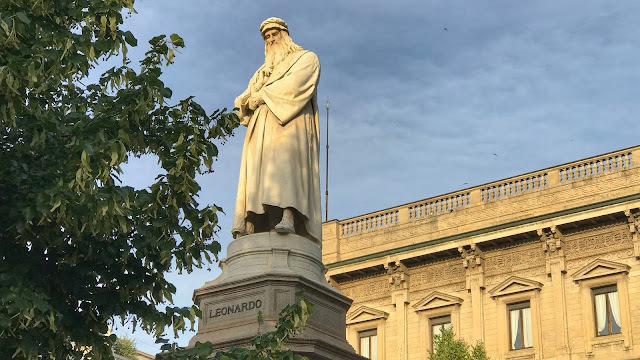 Since the signature part of the tour only lasts 15 minutes, the guide takes us around to some other famous sights in Milan. Although the Cathedral was beautiful, I was most taken by the Galleria. I think because it was just as splendid as any of the cathedrals we'd seen, yet it wasn't a church. It was built from the beginning as a shopping mall. When the tour was finished, we made it back to our room and crashed. We had arranged to meet Paolo for lunch the next day. Then he showed us around his city, including a wonderful park and a tower where you ride up in an elevator and get a view of the entire city. This was our third 7-miles-walking day in a row! Come dinner time, we picked the restaurant directly next door to the hotel. It was wonderful! The next morning we caught a taxi to the airport. 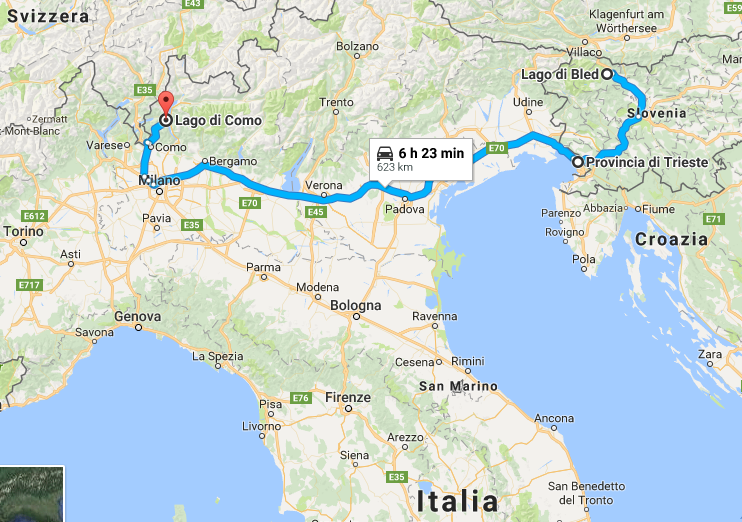 Before leaving Lake Bled, we took some time to study the map and the calendar and decided we could make a stop at Lake Como before getting to Milan. We had a Eurail Pass that gave us 10 days of train travel within an overall 2 month period. At first I thought we used it all up, but then I realized that 2 legs of train travel were actually accomplished in the course of one day. It is days that count, not travel legs. From Lake Bled we caught a bus to get to the train station, then a train back to Ljubljana where we had several hours before the bus to Trieste. Let's see what can we do while we're waiting? This waiter was born and bred in Ljubljana, but had also spent time elsewhere. He spoke very good English and we had a great time drinking and chatting. The bus to Trieste was quite pleasant and it was so nice to get out at the station and know exactly where we were. 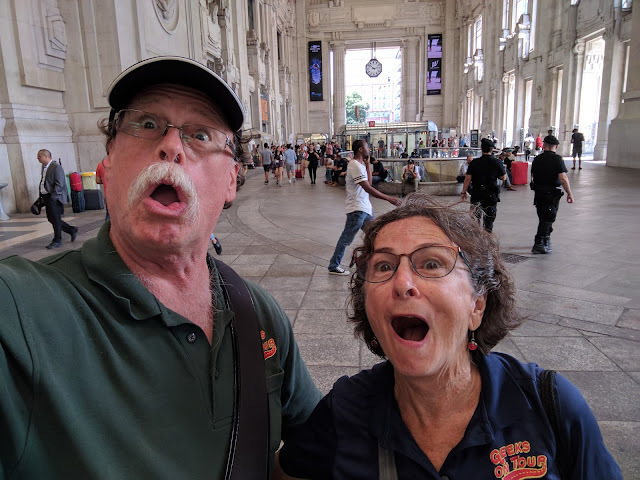 We had stayed in Trieste previously (day 15) but the B&B we stayed at that time was booked so we stayed at the Hotel Roma - very close to the train/bus station. The next morning it was back to the train station to catch a high-speed train this time. This was our longest ride yet, but it went quick. Lake Como is so much bigger than I imagined. We took a one hour boat ride that I thought was going to show us at least half of the lake, but no, if the lake is like a finger, we only saw the tip of the fingernail! We had great accommodations there. This was our only AirBnB. Our contact's name was Larissa, the room was private with it's own outside door and it was only a block from the Lakeshore. It was a short walk to the Funicular which took us up the hillside into the residential area around Como. That was easy. 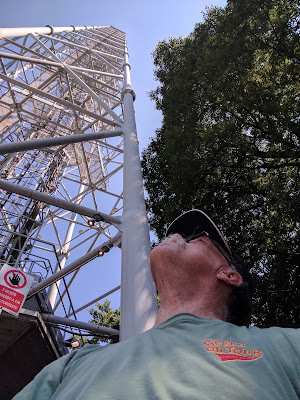 Then we decided to walk the rest of the way to the very top. By the time we were done for the day, our phones had registered over 7 miles of walking! And, most of it was steep up and down. We are definitely getting our exercise. We walked up and down steep streets to the top of the hill and an overlook of the lake. We ended the evening at an outdoor restaurant directly across from the Duomo. We enjoyed our favorite Italian foods and watched as the cathedral doors opened to let out a procession of singing priests and followers. 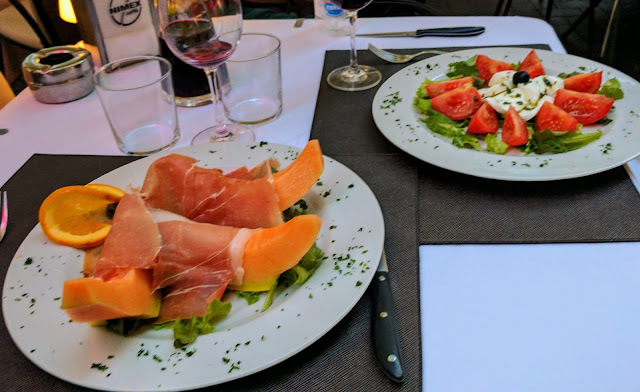 The melon was all so perfectly ripe and sweet, wrapped in prosciutto is such a taste treat. The tomato and mozzarella Caprese is a perennial favorite for both Jim and me. A completely unannounced procession right in front of our open air restaurant. A magic end to a gorgeous day. Lake Bled clockwise or counterclockwise? 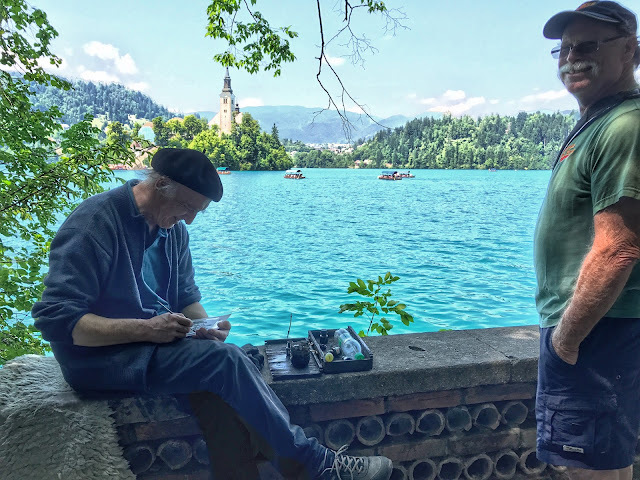 We returned the rental car to Zagreb and took a train north to Lake Bled. Train travel is SO nice. We knew it was 2-3 miles from the train station to our apt. in Lake Bled, but it was a beautiful day and we were getting very used to walking. What a view! Luckily there was a bike path almost the whole way, otherwise we would have needed to stick out our thumbs because traffic on the road was a bit much. Every apartment, hotel, B&B and simple room for rent has been up multiple flights of stairs. We're getting quite a lot of exercise this trip! 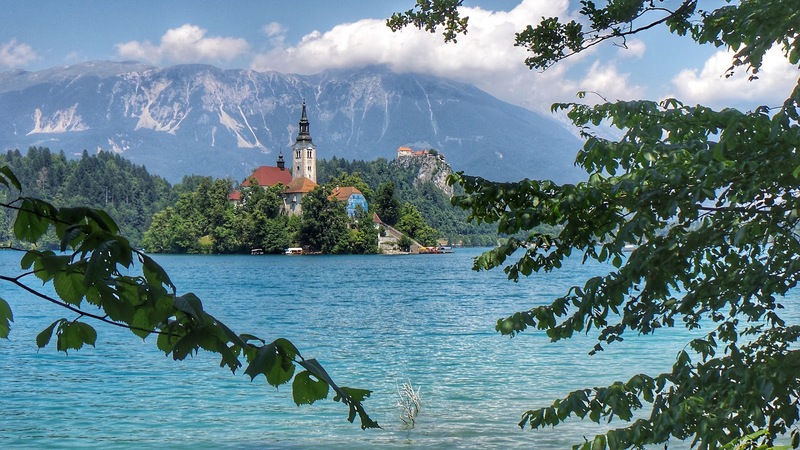 After getting settled in, we walked just a couple more blocks to the shore of Lake Bled. The extra benefit was that our apt had a shared deck. We couldn't quite see the lake from there, but we could see the castle on the rock. Jim got up early in the morning to get this time lapse of the sunrise hitting the castle. You know why we like vacations? The hardest decision you have to make is "Clockwise? or Counter-Clockwise?" We were only here for one day and we knew we wanted to take the walk all the way around the lake. We ended up going counter-clockwise just because that's the way our feet took us, no decision made at all. I'm glad we went that way because it meant we did the hike up to the castle early - before it got hot and before we got tired. We easily made it the rest of the way around the 3 miles because it was flat. There was an artist, Bobbi, set up at this spot on the lake. We bought one of his little paintings of this church, then he painted our caricatures on the back.